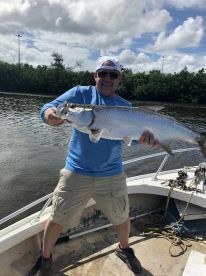 Captain Poncho Ortega has been fishing around Puerto Rico his entire life and brings three decades of charter experience to every trip he runs. Capt. 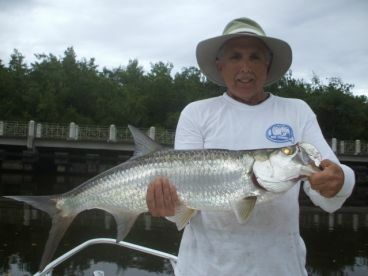 Poncho is an inshore specialist, who has racked up countless hours in the shallow waters of San Juan Bay. 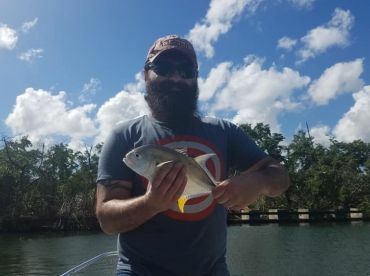 His favorite techniques are spinning, live baiting, and wind drifting but he can turn his hand to a variety of fishing styles. 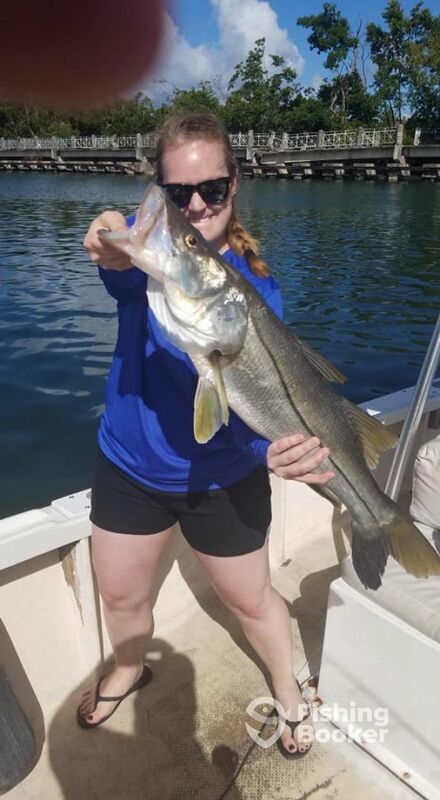 A day on the water with Capt. 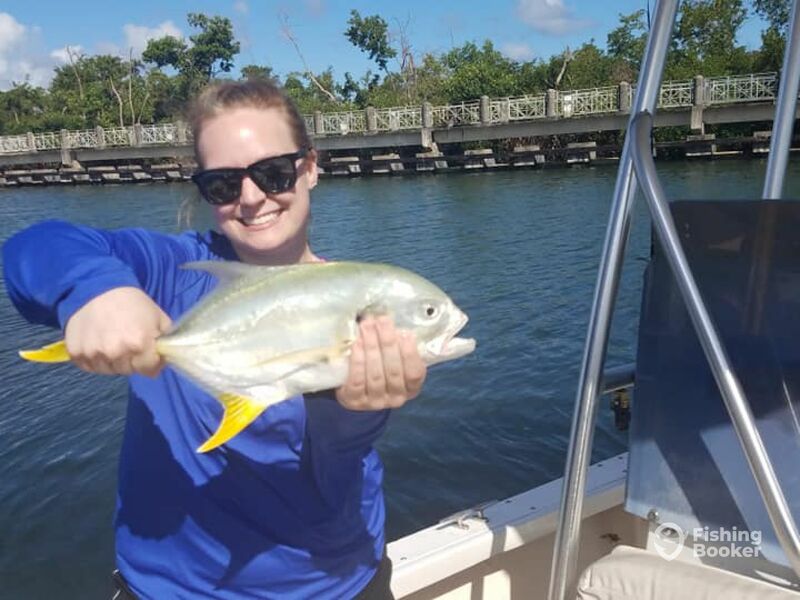 Poncho is an angling experience you will never forget. We had an amazing time with captain Ortega. He took us to multiple spots all around the bay, and when the fish were not biting he moved us to another spot. He also provided us with waters so we could stay hydrated on our fishing trip. He is very knowledgeable and was super helpful for the entire trip! 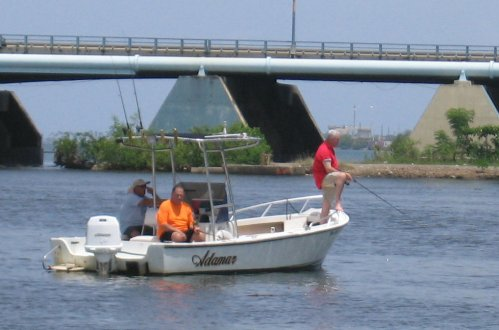 If you are looking for a great in-shore fishing charter, this is the one for you! Pancho was awesome and very knowledgeable. He also shared a lot of awesome facts about the area! We loved catching some huge tarpon! 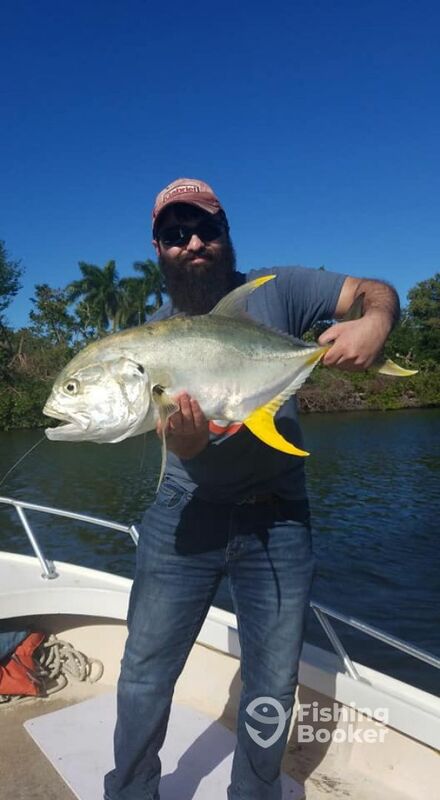 My wife and I had a great experience with Captain Ortega, he was knowledgeable and persistent to keep us on the fish. 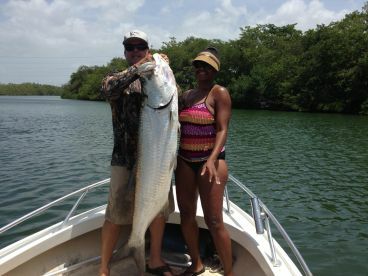 My wife out fished me per usual catching a huge tarpon! 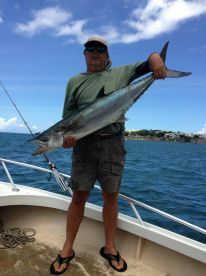 My wife and I had a great experience with Captain Ortega, he was knowledgeable and persistent to keep us on the fish. 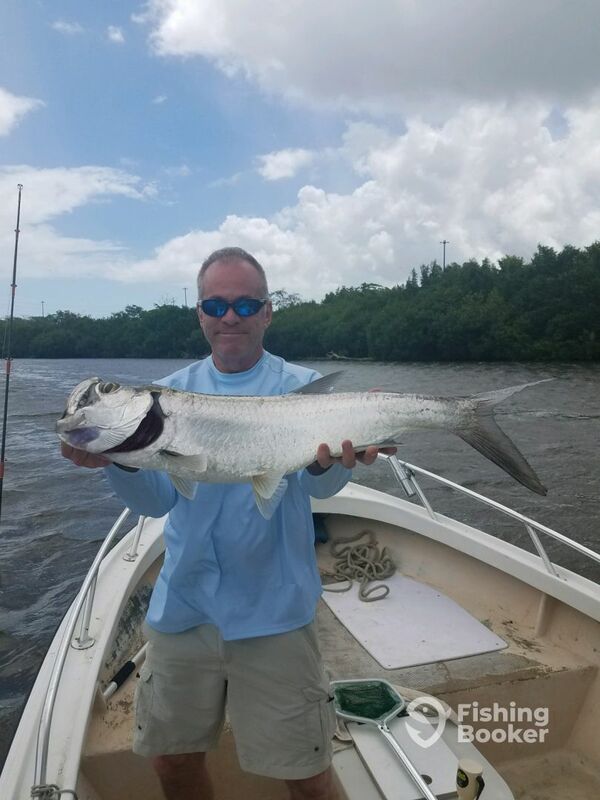 My wife out fished me per usual catching a huge tarpon! We highly recommend him. Poncho worked hard to get us on fish, but we had a slow day. Spotted plenty of Tarpon but only able to boat a snook. I would not hesitate to try it again, he kept the bait lively, the equipment was excellent and kept trying new locations all day. A unique way to see old San Juan. Thanks, if you come back to PR, give me a call. Hope you enoyed your trip.